The backlight LS-2200 stand is versatile, lightweight and very stable. It will support a light at a variety of low heights, or the pole can be removed and a light can be held in place at ground level using either one of two 5/8 inch diameter studs. The detachable pole can also be used as a hand-held boom. 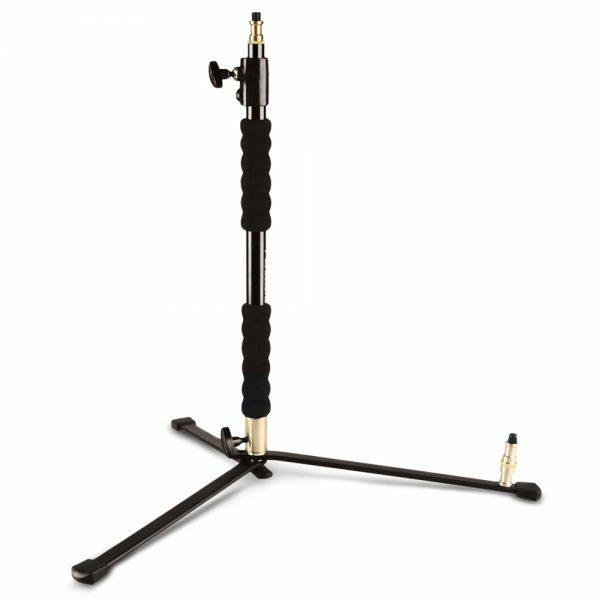 Use as a low level back light stand, detach and use just the riser for hand holding lights or as a temporary LiteStand extender.